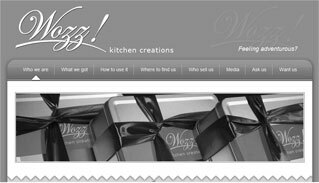 Our web design studio is specializing in creating websites with creative graphic design. We craft logos and make modern-looking, functional web sites and ecommerce shops (e-shops), which are quickly loaded and displayed correctly. E-shops are carefully optimized for search engines, increasing web site traffic using other methods, too. In addition to web site production, we also and provide related services such as design and print of business cards, leaflets and promotional items. We use modern technologies and approaches to create web pages. We posses the knowledge and competence in this field. We flexibly respond to your requests and needs. We keep the agreed deadlines. 5 years experience in web design and development. New website from A to Z for a typical farm restaurant „Na Gruntu“. Samsung smartphones web site maintenance. Valar Motor Oil website redesign and web templates coding. Website and SEO for a guest-house offering accommodation in Prestice.